The average business owner will spend eight percent of his revenue on marketing. Given that there are over 30 million small businesses in America and countless more medium- to large-sized organizations, that collective spend means a huge opportunity for aspiring marketers. If you’re interesting making a living helping companies make their brands a household name, you might be curious about how to start a digital marketing agency. Despite the high demand that exists in the advertising world, though, most new kids on the digital marketing block will fail. To buck that trend and become the next advertising success story, we recommend that you take to heart our marketing startup tips below. It used to be acceptable and perhaps even preferred to be a “jack of all trades” when it came to business services. Gone are those days. If a company in the trucking/transportation niche comes to you for marketing help, asks if you work with trucking companies often, and you tell them that you work with all kinds of companies, you’re probably going to lose that client’s business. Think about you. Would you team up with a marketing agency that works exclusively in your niche or one that takes a whack at whatever work comes their way? Clients today have an appreciation for specialization. If you can find an underserved marketing niche, learn everything about it, and advertise yourself as the premier marketer in that space, you’ll find that your business trajectory will soar. After choosing a niche, you have to find clients. One of the best and cheapest ways to do that is by driving traffic to your agency’s website. Traffic generation can be done in various ways, such as purchasing ads or investing time in organic marketing. Sponsored ads will offer immediate gratification, but they’ll need to be topped up continuously. Organic marketing will take more time but can be free and provides longer lasting results. Your level of urgency will determine which traffic generating method is best for you. At the core of the “how to start a digital marketing agency” question is always the creation of an excellent lead magnet. Lead magnets are what you use to get web traffic to engage with your business on a deeper level. Let’s say you’re focusing your marketing efforts on the transportation niche. When people visit your website, you may greet them with a pop-up that offers a free case study in exchange for their email address. Once a website visitor gives you their email address and receives your case study, you now have a direct line of contact with that potential lead. Very few people like investing in the unknown. That goes double for businesses investing in marketing. If someone is going to give you the keys to their marketing kingdom, they’re going to want to know that you’ve managed to achieve the results they want for other people. That’s why testimonials are so important. A solid testimonial from a client who loves your work can be slipped into the first couple of emails you send to new email subscribers. Testimonials are elements that you can also feature prominently on your website’s homepage. This strategy can encourage visitors who declined your lead magnet the first time to potentially opt in after they’ve had the opportunity to read what you’ve done for other clients. There are a lot of different companies that need marketing help. While we’ve advocated that you work within a particular niche, we recommend being flexible as far as budgets go within that niche. You should always be prepared to sell something, whether a client only has a budget of $100 or $1,000. The more thought you put into your product tiers, the better you’ll be at not alienating interested clients who are starting small today but could grow into something much bigger tomorrow. When you’re trying to figure out how to start a digital marketing agency, your instinct might be to do everything yourself. Keyword research, blogging, infographic creation, and video production are just a few examples. There are many freelancers out there that you can assign work to. Only hold onto aspects of your client’s work that require your unique expertise, such as creating a marketing campaign proposal example and similar tasks. If you try to handle everything yourself, your business will stall. One of the greatest points of failure we see with new digital marketing agencies is that onboarding feels too confusing and scary for new clients. If you’re interested in maximizing leads and creating a profitable marketing agency immediately, you have to get ahead of that issue. The more automated you can make it for people to opt into your services, the better. In a perfect world, there are marketing packages that clients can buy off of your website without even speaking to one of your team members. For the packages that require consultations, make sure you instill a sense of confidence in consumers. Speaking to your team shouldn’t be intimidating. Let them know that talking to you is something to look forward to and won’t require effort on their part. The easier you can make it for clients to get up and running with your services, the more money you’re going to make. 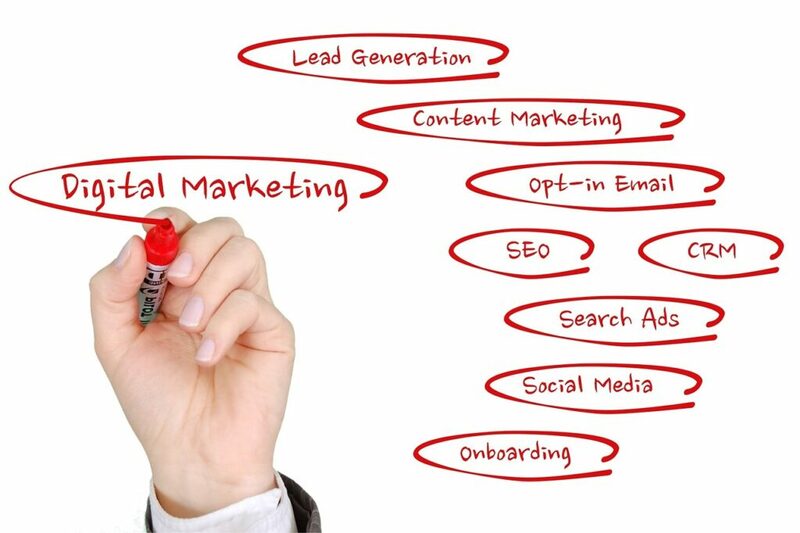 The tips above guide you through the process of running a successful marketing business. Now that you know how to start a digital marketing agency, take the steps needed to build an organization that stands out in today’s competitive landscape. Looking for the latest news on business management, technology, and more? If so, check out our big data posts and other business resources on our blog! The post 7 Proven Tips on How to Start a Digital Marketing Agency That Turns a Profit appeared first on erpinnews.